Rock ‘N’ Blues Returns for July Tour! What do you get when you combine nostalgia with great rock & roll and blues? 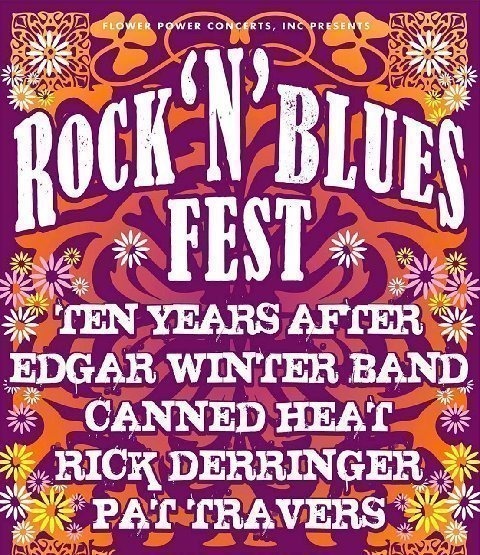 Rock ‘N’ Blues Fest returns for its sophomore tour with a line-up that includes rock and blues greats Ten Years After, Edgar Winter Band, Canned Heat, Rick Derringer and Pat Travers. The your, which kicks off on July 27th, has booked twenty stops so far. For more details and a list of the twenty stops already booked, follow the jump.